Tanda Tula Safari Camp is located in the heart of the Timbavati Private Nature Reserve, forming part of the Greater Kruger National Park. As one of South Africa’s most luxurious East African-styled tented bushcamps, we offer our guests an unforgettable experience in game viewing, warm hospitality and award-winning cuisine. Set on the banks of the Nlharalumi riverbed, Tanda Tula is shaded by majestic trees and overlooks a watering hole that attracts wildlife from dawn till dusk. Each of the 12 tents is completely private, surrounded by lush riverine bush with a deck overlooking the riverbed. Tanda Tula is sanctuary to Africa’s Big Five, with traversing over more than 20,000 ha of wilderness and undisturbed biodiversity. Our guests are guaranteed an incredible wildlife experience. Our highly skilled ranger and tracker teams guide our guests in the early mornings and evenings, in open Land Rovers or on foot. Tanda Tula is the oldest camp in the Timbavati. Steeped in history, the Hugo family go back many generations linking conservation and the Shangaan culture – and their joy is sharing it with the world. The camp exudes elegance, combining comfort and style with African roots. The open plan lodge merges luxury with the natural environment. We have 12 luxurious East African-styled tents. All the tents are totally private with stunning views overlooking the riverbed. Each tent has its own private deck with loungers or deck chairs. The interiors are furnished in great elegance and comfort. All the tents have beautiful en suite bathrooms with traditional Victorian bathtubs and romantic outdoor showers overlooking the bush and riverbed. There is a private, open air therapy hide at the edge of the watering hole where Nicoline, our therapist, provides guests with a variety of aromatherapy treatments. The infinity pool overlooks a large watering hole, often frequented by elephant and buffalo. The bar and lounge are always open, and our superb barmen, Harry and Smiling, will gladly bring you your favourite drink. Out in the bush we have a lovely hide on the Machaton Dam where private picnics and ‘sleep outs’ can be arranged, bringing you closer to the wilderness! Sumptuous bush brunches are served daily at our bush site. After breakfast, guests can arrange a guided walk back to camp with their ranger. For families and friends requiring complete privacy, we have an exclusive camp called Tandala. Accommodating four or six guests, with a private pool, fabulous lounge and sweeping deck overlooking the riverbed, this is truly a piece of paradise. A private chef, ranger and vehicle can also be arranged. The Timbavati Private Nature Reserve forms part of the Greater Kruger National Park, a vast wilderness of more than 3.5 million hectares. Tanda Tula’s rangers and trackers are of the most skilled and highly qualified in Africa assuring you that your game experience will be unforgettable, exciting and informative. The reserve is known for its incredible variety of game including the Big Five (lion, leopard, elephant, buffalo and rhino). The Timbavati is renowned for its numerous lion prides as well as the famous White Lions of the Timbavati. The Timbavati is also well known for its low human impact. With only 8 lodges in more than 60 000 hectares, guests experience the bush at its most pristine. The lodges have mutual traversing and co-operate very well with each other in animal sightings. The Overnight Walking Safari provides an opportunity for nature lovers and adventure seekers to experience the beautiful African wildlife on foot and up close and to sleep under the stars, exactly as the early explorers did. 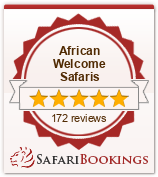 Each Walking Safari itinerary is individually tailored to suit guests’ requirements. A four-night walking safari package is generally recommended, with two nights spent at the base Tanda Tula Safari Camp and two nights in the bush at the remote Machaton Hide.